There are a number of dangers which you have to watch out for as a small business owner. In order to keep your productivity levels high, you will have to find a way to reduce distractions while promoting efficiency. This can be much easier said than done due to the many distractions and time wasters out there. The only way you will be able to reduce the amount of time wasted in your office is by finding them and making policies to rid yourself of them once and for all. Here are a few of the most common time wasters out there and how to eliminate them. One of the biggest issues you can face when it comes to time wasters in your office space is cell phone usage. For most people, having their cell phone on them at all time is a must and sometimes it can become a very time wasting. If you start to notice that the employees in your office are spending more time on their phones than doing work, then you will need to make a policy restricting this. Another very common waste of time you will have to deal with is people using work time to check their personal emails and social media. While staying connected can be a great thing for most people, doing it on company time can be bad for all involved. There are a number of programs out there which will allow you to block access on your server to sites like this. 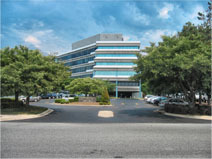 When in the market for an office rental, the team at Pinnacle Business Center can help. In need of virtual offices in Burlington, MA?